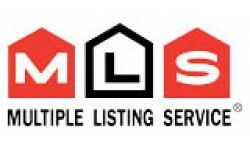 ← David Tsegai And CalgaryRealEstate.ca Are Now On OurFaves.ca! The housing market in Spain is devastated. At the beginning of the 2000s, Spaniards enjoyed a great improvement in the housing market both in the sense of prices and volume of new constructions. A favourite holiday destination, Spain welcomed foreign investors from Britain, Germany, and others, built a huge amount of hotel residences, and improved its living conditions. But the world crisis has changed everything. The housing crash affected Spaniards badly and even gained the distinction of its own television soap opera on the topic. The Spanish housing property bubble is dated from 1985 and it had three phases. From the beginning to 1991, prices nearly tripled, then they stabilized, and again in 1996 started growing. Spain built 675,000 homes a year from 1997 to 2006 — more than France, Germany, and the UK combined, according to Spanish savings bank Cajamar. Although foreigners, especially Britons (about 31 per cent of all foreign-owned homes), contribute to the Spanish market significantly, most homeowners are locals. House ownership in Spain is at an incredible 82 per cent. Spaniards’ desire to own rather than rent was encouraged by governments in the ’60s and ’70s and has become part of the Spanish lifestyle. Moreover, tax regulation also makes ownership attractive: 15 per cent of mortgage payments are deductible from personal income taxes. As the oldest apartments are controlled by non-inflation-adjusted rent-controls, renting isn’t popular at all. The Spanish economy is the world’s twelfth largest, fourth largest in the Eurozone, and is twice the size of Greece, Portugal, and Ireland combined. When the world crisis boomed in 2008, demand for properties fell and Spaniards found themselves deep in debt. They faced a slump in British demand because of the poor euro-sterling exchange rate. The holiday home market, once a great supporter of the Spanish economy, suffered as well. There have been 43 per cent losses in the value of the Spanish construction industry, and land prices fell about 50 per cent in 2010. Spaniards have also experienced record high unemployment, hitting a new high of 21.3 per cent in the first quarter of 2011 — more than double the Eurozone average. Spanish banks had €315.8 billion in loans related to real estate activities in the fourth quarter of 2010. The country now has a surplus of more than 1 million empty homes. Spain has relatively low public debt (62 per cent of its GDP) and it has implemented several austerity measures, including wage cuts for civil servants, raising the retirement age, and hiking taxes, but it is still in trouble. Many analysts believe that Spain will sooner or later ask for a bailout. However, while the Greek, Irish, and Portuguese bailouts totalled about €275 billion, economists estimated that Spain would need a package of about €350 billion. International investors don’t rush to buy Spanish homes although their prices are so low. Homeowners are now discouraged by government corruption scandals and buildings created without valid permits. There are hundreds of thousands of illegal homes in Spain. The country is criticized for applying restrictions on coastal property retroactively that made many homeowners lose their rights for homes and showing “judicial laxity” toward corruption and speculation. The Spanish property market hasn’t showed any significant improvement. In July 2011, mortgage approvals fell to their lowest level in at least eight years since the data series began in 2003 (down 44.2 per cent from a year earlier to 46,980). “Lenders are being much more prudent due to the tensions in the financial markets, while potential buyers are holding off for the moment,” economist at Citi in Madrid, Jose Luis Martinez said. The construction sector was worth 10 per cent of GDP (gross domestic product) in 2009, though it has fallen to 8.7 per cent in the second quarter of 2011. The housing industry is also suffering. RR de Acuña’s report says some 23,600 companies collapsed, owing €137 billion to banks. Average house prices were €266,100 in September 2011, just a small improvement of €3,000 from June’s average. Although prices are falling, in March 2011, Spain was named one of the world’s most overvalued housing markets (overvaluation by more than 43 per cent according to the Economists). Mark Stucklin, author of the Spanish Property Doctor Column in The Sunday Times, objects that the report is based on official figures. “If you want to know what’s going on in the residential property market, a much more revealing figure is the collapse in planning approvals, down by 90 per cent since 2006,” he claimed. The Spanish housing market has affected industries worst of all and still doesn’t see hope in the dark future of falling prices.